Last year when The Hubs and I made the decision to put our then four-year-old, Blonde Warrior, into kindergarten, we did so with a little trepidation. He had already learned to read simple one-vowel words and looooooved sitting at the school table each day alongside his older sibs soaking up ANY little morsel of knowledge he possibly could. Were we pushing him too hard? He had shown such interest and ability. But when when all was said and done, would he be able to keep up with a school routine? Would he develop a disdain for academics and learning by starting too early?? After praying about it, we took the leap and agreed that if our boy showed ANY signs of dislike or frustration, we would put kindergarten on hold for another year. After all, the word "kindergarten" was just a term. We didn't have to let it define WHAT he learned and WHEN. We just determined to continue to feed his vivacious thirst for knowledge. If that meant having to give him a book that was geared for kids a year older than he was, so what?! It's what he wanted and what he was ready for. As we expected, Blonde Warrior absolutely thrived in kindergarten. HE LOVED IT! He is by nature a very curious kid with a deep-rooted love of learning new things. He was thrilled to be able to seek...and FIND...because we ALLOWED him to. Oh, the beauty of homeschooling! We weren't bound by a September 1st birthday deadline. We were free to allow our child to learn IN SPITE of a trivial date on a calendar. In just a couple of weeks, he will be starting first grade. I can't wait to see what this year will hold for him! At this level, I do not require him to "read for pleasure" like his older sibs. He will, obviously, do the required reading for his ABeka lesson. But, I don't insist upon additional reading since he will still be continuing to LEARN how to read. If he WANTS to read any extra...well, that's a bonus. But, I won't insist upon it. So, that's what my little guy will be up to in the coming months. Do you have a first grader? I'd love to hear about your plans! thank you for posting this! my will be 5 year old is starting grade one in January (we're a little backwards in our house and do a jan-sept/oct school year) we'll definitely be including the critical thinking workbook and lessons in responsibility now! January to September? Any particular reason? I always love hearing about non-traditional school schedules. It reinforces one of the reasons I love homeschooling so much...individualism! Looks like great plans for this year! I so love that you were able to start him early and have the flexibility to stop if he wasn't ready! I had a few plans from last year that just didn't work out but that we are going to give another shot this year! we did exactly the same thing with my middle son. now he's (almost) 7 and starting 3rd grade in a couple of weeks. unfortunately, we did NOT do this with my oldest son, so he's at grade level rather than above (which is perfect for him).He's 9 and starting 4th grade. I also have a 1 year old; he won't be doing lessons this year ;). I think it is wonderful that you chose a unique path for EACH of your boys. 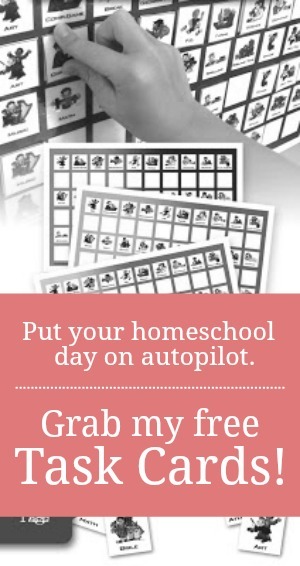 Homeschooling doesn't have to be a cookie cutter education. Hope you have a wonderful year. Oh, how exciting! She must be such a smartie! We used ABeka for Kindergarten, 1st, 2nd and 3rd grades. After that my daughter wanted to do more of a literature based approach and my son wanted computer learning(they are twins). That was last year and now they are entering 5th grade. My son uses Time 4 Learning (with mom-added supplements) while my daughter's curriculum is reading lots of living books, connecting them to science and history, crafting and drudgingly completing math( Math U See Epsilon). I always thought it would be school at home side by side but sometimes things work out for the better. Have a blessed school year. I think it's so great that you let them have a unique learning experience that is tailor made for their personalities. Kuddos to you!!! It sounds like you have had quite a year of adventure. I hope that if you do begin homeschooling, that your oldest returns to good health and that the year goes well. Hi, Jamie I was wondering if you had any suggestions as to what else I can do to help my little man who is in "K" and is 6 years old to be a stronger reader. He struggles with all of it he main thing is he says its to hard .Not sure if it really is or if he is just making excuses... So with that being said if you have any suggestions I would greatly appreciate it . I am asking because he will be embarking upon 1st grade next year and I do not want him to be behind ! Amber, It's hard to say without actually hearing him read. I think first and foremost, you want to make reading successful for him. So, if that means giving him a reader level that might seem below his age level but is at his reading level, the by all means, do it. Establishing success at reading will establish a desire to do it. Also, please know that 1st grade does not have to be the reading bench mark. Every child "gets it" at different ages. Right now, my younger son "gets it" better and much faster than his older brother. But, the older one makes gradual forward motion every day...slow and steady improvement...and that's really what counts. Trust me, as long as you continue to keep practicing those skills, he won't be 18 and still not be able to read. He will read. It just might come at a slower pace than what you or he may have hoped. It was interesting to see you also chose ABeka phonics with All About Spelling. 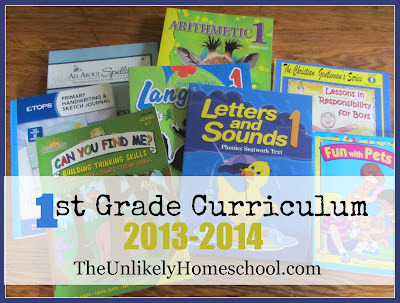 My oldest will be entering first grade in the fall, and I am beginning to plan her curriculum and schedule. How do you teach phonics without including the ABeka spelling as I noticed today that the lesson plans seem to be intermingled? I found your blog through Pinterest, and I'll be bookmarking it for future visits. Thanks for your insight! The lessons CAN be integrated and appear that way in the lesson plan, but they don't have to be. We just skip the spelling part when we come to that in the lesson plan. While I don't think ABeka is a "bad" spelling program, I don't find a whole lot of value in just memorizing words on a list for a test. The point of spelling is to learn to spell ALL words. I appreciate how AAS emphasizes the skills of spelling in order that kids can learn to spell any word using the correct spelling rules. With the Abeka phonics curriculum, do you use the seatwork book or just the test sheets? I use the seatwork book and NOT the tests.